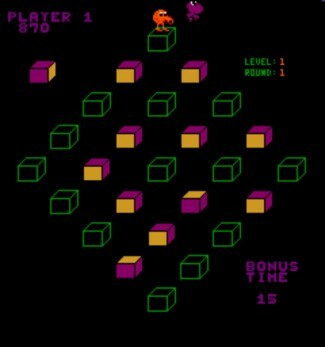 Qbert jumps from cube to cube, causing the cube to spin and change to a different color. The cubes have a different color on each side. Every level has a different cube pattern.